There are tons of books and blogs that teach us how to be a good parent, but it’s really very simple. 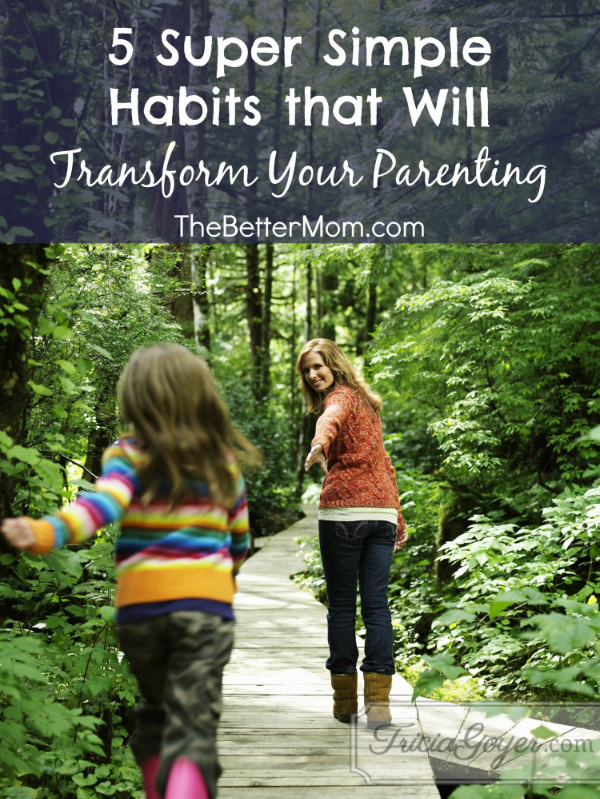 Being a good parent can start with changing a few habits. Don’t believe me? Take the test. Try one of these simple habits every day throughout the next five days, and watch how it transforms your family and your home! I challenge you! Want to transform your parenting? Take @TriciaGoyer’s 5-day challenge! When we smile at our children it’s showing them love and acceptance. Our smile eases our children’s worries. Our smile calms them. Our smile breaks down walls, causing them to open up to us. Our smile shows our children they are accepted and loved. You may have seen this phenomena before . . . the louder you get, the louder your kids get. Or maybe your kids are already loud and you have to raise your voice to speak over them. What to do instead? Speak softly. Whether it is asking your child about what he wants for breakfast or asking him to take his muddy cleats out of the living room, approach him, lean in, and speak low and soft. Your child will often respond in the same and will be much more likely to follow your request. 3. Say exactly what you mean. I’m the queen of what my husband calls “beat around the bush.” Instead of saying, “Please pick up your puzzle,” I ask, “Who left this puzzle on the table? Is this where you’re supposed to leave it?” Also, for some reason it feels nicer when I say, “Why don’t you go clean your bedroom?” instead of, “Please pick up all your toys in your room.” But beating around the bush usually backfires. My kids don’t believe I’m serious about my request. Instead, I’m learning to give direct commands—in a nice way, of course—and no one has to question what I’m really saying or if I really mean it. Day Three Challenge: Say exactly what you mean when speaking to your children or giving a request. Don’t beat around the bush. Be as specific as possible. 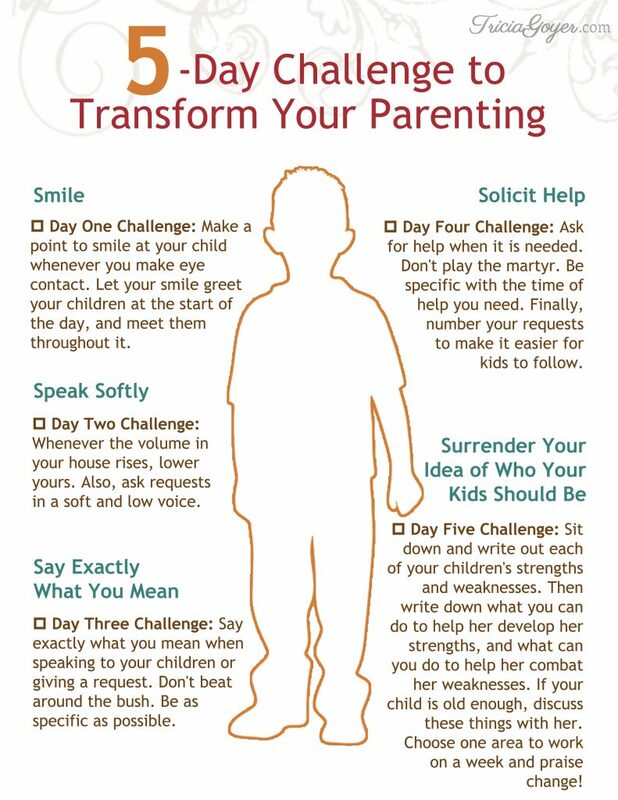 Discover the other ways to transform your parenting over at thebettermom.com and download the FREE printable to keep as a reminder! by radio wave that insures the absolute exact time every second. As parents, we’d like the best for kids, and also this includes timepieces they wear.